Inspired by David Regal's "Sudden Deck" and Stephen Tucker's "Tardis Deck". You display an unfolded card box, and clearly show it inside and out. You then proceed to fold it up, snap your fingers and slide a full deck of cards out of the box! It's that simple. It's that effective. 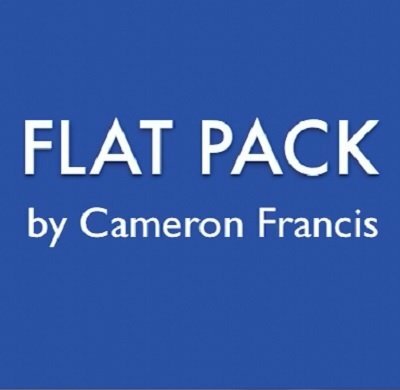 Flat Pack is great for close-up as well as stand-up work. It's super easy to make, and the angles are great. 1st edition 2014, length 20 min.